The Hemet Police Department and LexisNexis Risk Solutions, recently partnered to provide a new way for the public to stay informed about crime in The City of Hemet. The Hemet Police Department now has an online crime map called Community Crime Map that maps and analyzes crime data, alerts Hemet citizens about crimes in their area, and allows the Hemet Police to quickly alert the public about crimes as they occur. Hemet citizens can view a map and grid with all of the crimes in their area, sign up for neighborhood watch reports that automatically email a breakdown of recent crime activity, and submit an anonymous tip about a crime directly to their law enforcement agency. Community Crime Map automatically syncs with the Hemet Police Department’s records system to keep crime information updated online and in the mobile app. 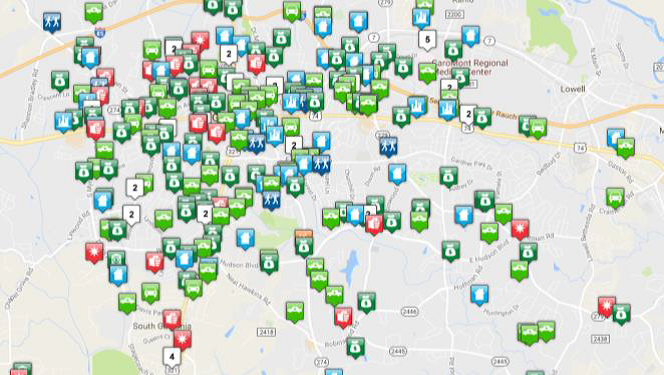 Community Crime Map cleans and geocodes the crime data, then displays all of the incidents on a map, grid and analytics dashboard along with some basic information about the incidents, including the type of crime, location type, block-level address, date and time.